We're so excited to offer you a seasonal bundle; It includes all you'll need for your Christmas and winter, indoor and outdoor sessions. 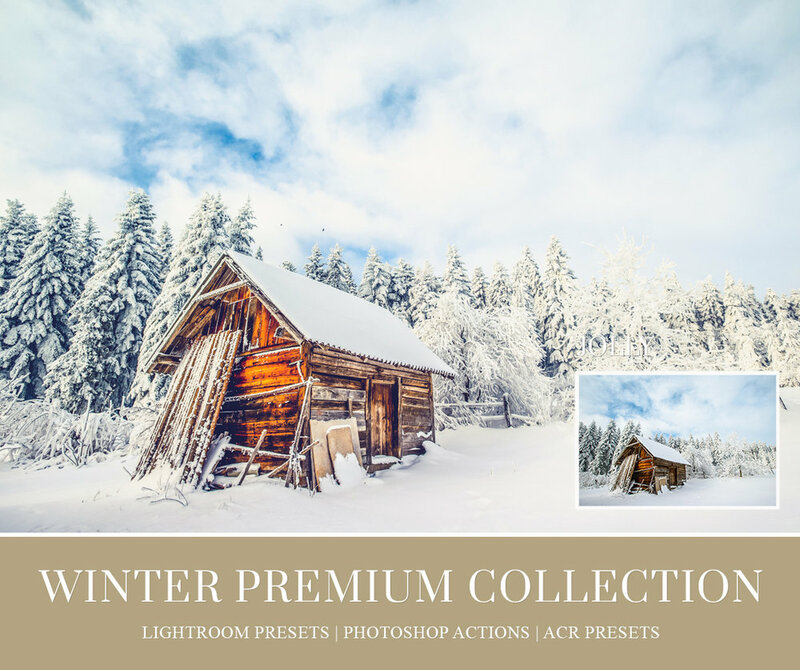 Add some winter and wonder to your images with this beautiful Winter collection from BeArt Presets for Lightroom! Now, you can offer your clients awesome wintery photographs regardless of the weather outside. 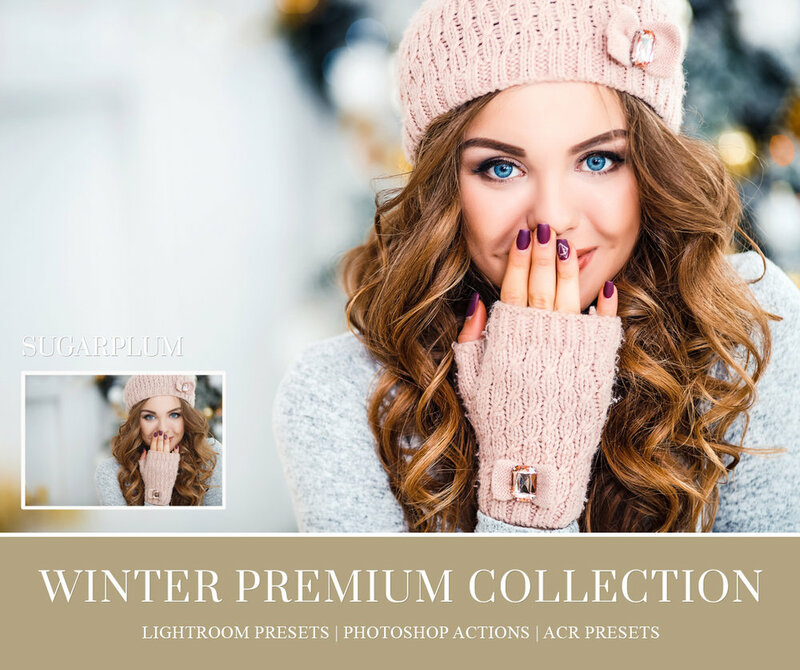 Each action and overlay especially made for creating the ideal winter themed picture. 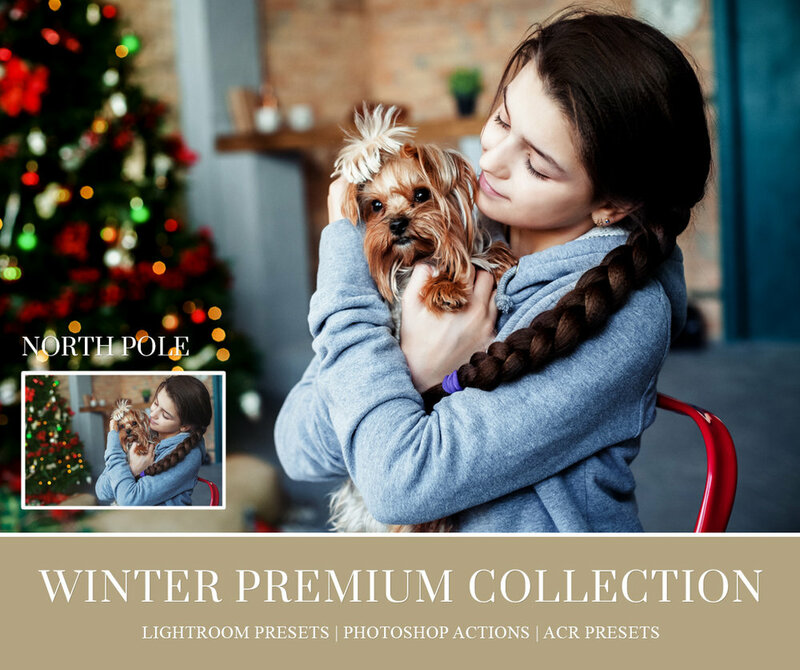 Our Winter collection is a gorgeous set of artistic Lightroom presets, ACR presets and Photoshop actions, snow brushes, and actions, text and bokeh overlays – it includes everything you need to create beautiful winter wonderland photos! We are excited to offer this seasonal bundle for your winter images. You'll have everything you need to elevate, enhance, and edit your seasonally-themed portraits this winter including indoor and outdoor images as well as Christmas and other winter holiday pictures. BeArt's seasonal collection allows you to recreate winter wonder with just a few clicks! Impress your clients this year with iconic wintery imagery. We have meticulously designed each action and overlay to help you create your most stunning images of the year! The beauty of the winter months varies by geographic location. The season either offers up a subtle beauty or boldly displays the stark contrasts of winter. Capturing these complexities can be daunting irrespective of skill or experience. Post-production editing can turn into an hours-long effort. BeArt's Winter Bundle comprised of presets and actions will revolutionize your workflow into a more straightforward and efficient process. Whether it's the sparkling lights and bright colors of a Christmas tree or the muted whites of a snow-covered landscape, the perfect image is easier than you think with this bundle. Our presets, actions, and overlays will elevate your portraits to perfection without spending hours. You won't have to worry about dimly-lit shots because you can make any necessary enhancements or edits in your studio. What you didn't achieve during a photo session, you can accomplish using our seasonal bundle. Deepen the jewel tones of a Christmas portrait. Soften an image for a more artistic and muted look. Add a light snowfall overlay to create a wintery landscape. Intensify the contrasts between winter's barren trees and snowy white backdrop. Add stylish letters to your image. Add an old-world look to a Christmas tree. You might think you're already producing stunning holiday pictures, but this collection allows you to be more creative than ever adding specially-designed effects. Instantly transform your winter or holiday portraits into exquisite fine art photography with a few easy clicks using any of our presets or actions. BeArt's goal was to change how you edit pictures and tackle your workflow while providing you with high-quality and exquisitely creative tools. We not only accomplished our goal, but we also blew well past it with this powerful collection! Professional fine art photography - more stunning than you ever imagined possible - is literally at your fingertips this holiday season. Our designers have created this uncompromising collection with the perfectionist in mind. You will be able to convey all of the drama, depth, and beauty of winter using these comprehensively designed tools. You can apply edits or effects on individual images or across an entire batch. And, like with all of our presets, you can create a signature look for your winter portraits. Don't waste your time struggling through ordinary presets this year. Use our Winter Collection for your winter-themed photography for the perfect look. However good your photography was, it just got a lot better!